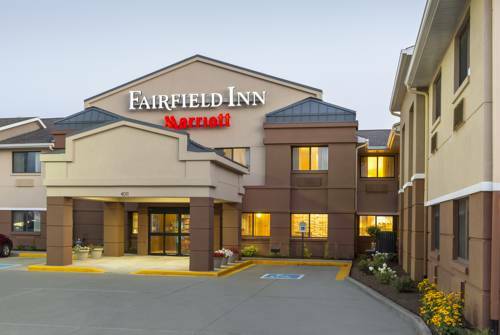 The Fairfield Inn Muncie is one of the most convenient hotels in Muncie, Indiana. Located near Ball State University and Ball Memorial Hospital, youll enjoy your stay whether you are traveling for business or leisure. Explore the nearby Muncie Mall, see a show at Emens Auditorium or be inspired by the area's rich Minnestrista Cultural Center. We also feature timeless amenities such as free hot breakfast daily, a 24 hour business center, an indoor pool and hot tub, and free Wifi throughout the Muncie hotel. An on-site fitness center with elliptical equipment and weight machines is also available to all guests. We offer many time saving options with the mobile check in feature via the Marriott app. At the Fairfield Inn Muncie, you are our #1 priority. We promise you'll be satisfied, or we'll make it right. That's our commitment to you. Ask us about The Fairfield 100% Guarantee. Growing out of the top of a tower, the tree never seems to die -- which has led to speculation that the town sticks in a new one every few decades. Formerly the world's largest sycamore tree. Still an impressive attraction.